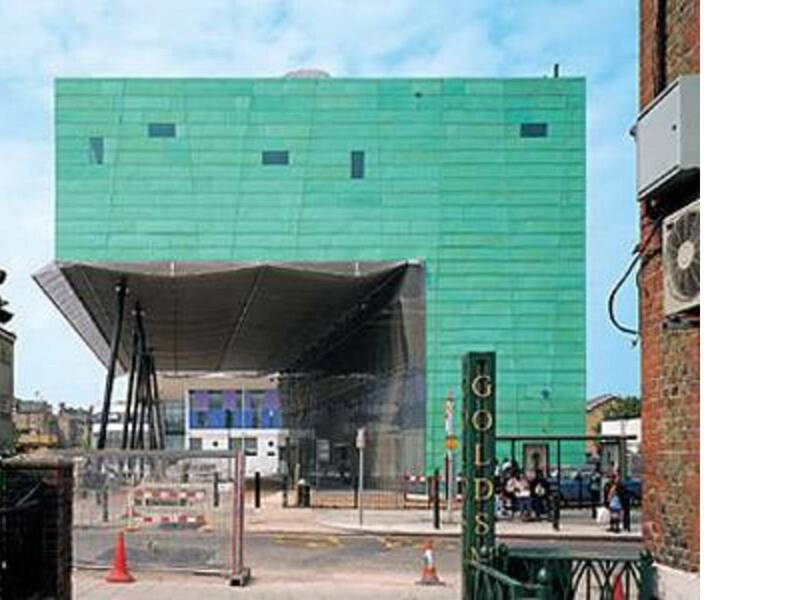 The public library designed by Alsop & Störmer of London completes a square in a poverty-stricken corner of southwest London, together with Peckham Arch and the Pulse healthy living centre. The outside of the building is faced with horizontally arranged copper plates which give the building an unusual greenish colour; the vertical seam of the facade reduces the building's static nature and conveys an impression of changeability and flexibility. The northern facade is covered with multicoloured glass panels which allow light to penetrate into the building, saving on energy and costs. There is no air conditioning system, but a huge orange protuberance on the roof screens the building from the sun's rays. The word "LIBRARY" appears on the top of the building in stainless steel letters two metres high. 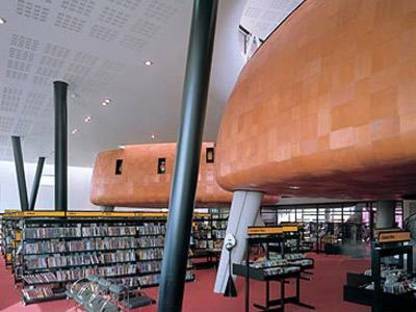 The unusual and innovative design of Peckham Library strikes all visitors; even elements which appear insignificant play an essential role in emphasising the library's social role. In front of William Alsop's unusual architectural creation is a large plaza paved like a collage made up of different tesserae. Thick vegetation and a group of sculptures complete and enhance the new space for social life in Peckham.